University of Houston Student Body President Cedric Bandoh has been invited to participate in a panel discussion for “The Daily Ticker,” an online show produced in New York City by Yahoo! Finance. The special show will be live streaming on the Daily Ticker’s website on Thursday, May 23 at 11:30 a.m. local time. Bandoh will be a panelist on a special segment called “Generation I.O.U,” that will focus on the growing amount of student loan debt across the country and the rising cost of higher education. A report issued earlier this month by the Consumer Financial Protection Bureau estimates that 38 million student loan borrowers in the United States owe a debt load of more than $1.1 trillion, and the Project on Student Debt estimates that 66 percent of college seniors who graduated in 2011 had student loan debt, with an average of $26,600 for those with loans. Students at UH rank No. 7 in the nation for graduating with the least amount of debt, according to rankings released by U.S. News and World Report in 2012. Last year, 26 percent of all graduates from UH paid less than $10,000 for their degree. 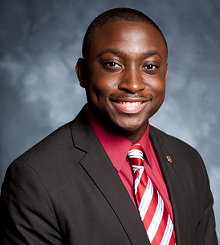 Bandoh, a graduate of Allen High School, serves as the top student body representative to the university administration, Board of Regents and Texas legislature. In 2012, he was the youngest president ever elected at UH. He was elected to second term in March 2013. Bandoh serves on the National Campus Leadership Council (NCLC), a coalition of student body presidents from around the nation. Last year, NCLC led a campaign urging Congress not to double interest rates on Stafford Student Loans from 3.4 percent to 6.8 percent. Producers of “Generation I.O.U” are asking students around the country to participate by submitting their 90-second stories or questions to Flickr or by sending an email with their input to thedailyticker@yahoo.com. 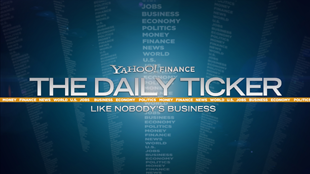 According to Yahoo!, “The Daily Ticker” is the most viewed online business new program. Hosted by Aaron Task, Henry Blodget and Daniel Gross, the show covers important economic and business topics of the day—from investing to corporate leadership and politics.